Winner of the San Diego Book Award! In 1929, a retired newspaper editor vacationing in the archeological digs of an old Mayan ruin has a preternatural vision that "tells him" Earth was created as an experiment in altered consciousness by children of higher beings who then forgot their original awareness. Although the vision occurred over a six or seven day period, the writer spends the next forty years of his life transcribing his original notes into two large journals. The journals are illustrated with ancient pictographs the editor is led to find in prehistoric ruins, old museums and libraries which, mysteriously, further inform his translation and his understanding of the vision. Some fifty years later the journals are mailed anonymously to the writer's only grandchild as part of a strange inheritance for all mankind. "On rare occasions there comes along a profound original, an odd little book that appears out of nowhere, from the pen of some obscure storyteller, and once you have read it, you will never go completely back to where you were before. The kind of book you may hesitate to lend for fear you might miss its company. The kind of book that echoes from the heart of some ancient knowing, and whispers from time's forgotten cave that life may be more than it seems, and less." 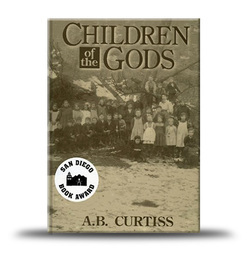 "Children of the Gods is a fictional story in the format of a journal of a retired newspaper editor. The editor experienced a series of supernatural visions about the creation of the earth and the origin of mankind. These visions occurred during one week in 1929, while the editor was vacationing in the archeological digs of an old Mayan ruin. He spent the next forty years of his life transcribing his original notes and illustrating them with mysterious pictographs found in prehistoric ruins from around the world. Fifty years later, the journal was mailed anonymously to the editor's only grandchild as part of a strange inheritance for all mankind. 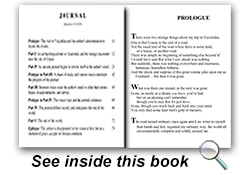 The journal turns out to be the translation, in the ancient language of poetry of the psychic records of the "Erthe" experiment, a lesson in altered states of consciousness for children of higher beings. But the children (humans) have forgotten their original awareness, which is now secreted away in the deepest layers of their minds, in the very fabric of universal consciousness. That superluminal awareness is scheduled to reappear to remind us who we really are.